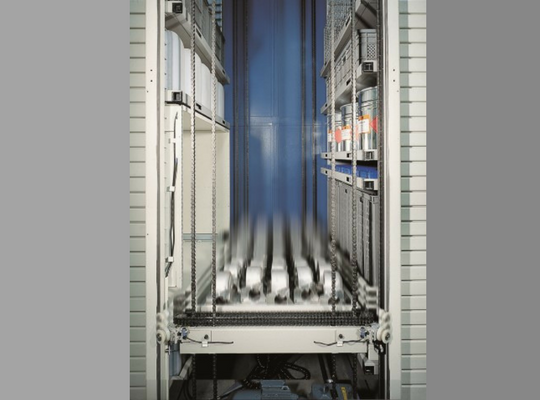 With the Hänel Lean-Lift® we offer you a first-class, high-tech system for storage organization and materials handling. It saves time, storage space (up to 80%) and costs, enables a much more efficient workflow and protect your goods. At the center of this closed system is a computer-controlled positioning lift – the ‘extractor’. In front of it and behind it are the storage shelves. 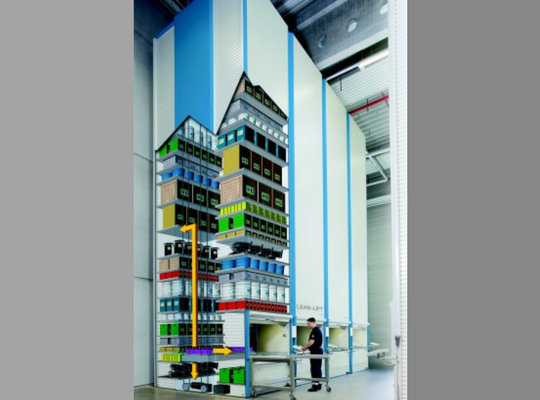 This is where the articles are stored in containers in height optimized positions. 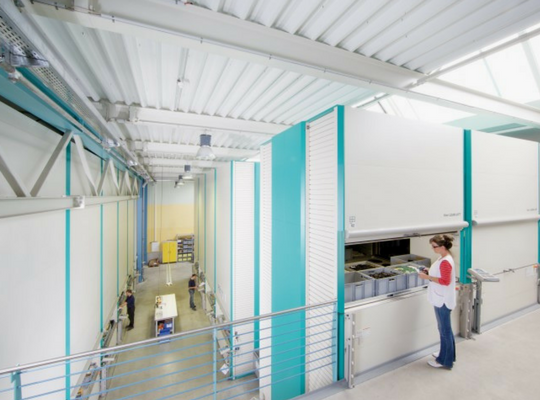 The storage locations are accessed automatically under electronic control by means of the extractor, which stores or retrieves the requested container. The goods are then delivered to the retrieval area at the correct ergonomic height.